Sun City Stay (You have an option to Visit Bird Aviary or enjoy Optional activities like Jet Ski, Parasailing, Banana ride etc.). Valley Of Waves included. En route Mossel Bay, Tsitsikamma national park. Visit Ostrich farm, Cheetah Land & crocodile farm. 1 Night accommodation in Hotel Metcourt or similar accommodation in Johannesburg. 1 Night accommodation in Hotel Cabanas or similar accommodation in Sun City. 5 Night’s accommodation in Hotel Point / Point Villa or similar accommodation in Mossel Bay. 3 Night’s accommodation in Hotel Capetonian or similar accommodation in Cape Town. Garden Route: Cango caves, Ostrich farm, Cheetah Land & crocodile farm. Cape Town: Table Mountain (If weather permit), Seal Island, Cape point with Flying Dutchman. 11 Breakfast, 11 Lunches and 11 Dinners as per preset menu. Arrive Johannesburg in Evening and after clearing customs and immigration proceed to Hotel. Dinner and stay at Johannesburg. After breakfast we proceed towards Sun City. Sun City offers a myriad of different entertainment and relaxation opportunities, as well as enough attractions and activities to keep everyone busy. You have an option to Visit Bird Aviary or enjoy Optional activities like Quad biking, Jet Ski, Parasailing, Motor boats, Banana ride etc. Dinner and Stay at Sun City. Early morning check out and proceed to Johannesburg airport to board flight for George. Arrive George airport and proceed to Mossel Bay. Arrive at Mossel Bay check in at our Hotel. Evening is free for Leisure. Dinner and stay at Mossel Bay. After breakfast we proceed for a day excursion of Knysna, on the way we take our halt at Bloukrans Bridge located in the Tsitsikamma region for Bungee Jumping (optional). Bloukrans Bridge is the site of the world‘s highest commercial bungee jumping. Thereafter we proceed to take our halt at Knysna - is a town in the heart of South Africa's beautiful Garden Route just East of Cape Town. Knysna lies nestled in between the Outeniqua Mountains and the Indian Ocean. After a brief picture halt we precede our journey crossing some of the beautiful towns falling by the sea. Dinner and stay at Mossel Bay. After breakfast today we will Enjoy Activities such as Helicopter Ride giving us the breathtaking views of the wonderful sea and more than 60 kilometers of beaches. We than proceed for Other Optional Activities such as Whale Watching Cruise(optional).. Later we visit to Casino. Dinner and stay at Mossel Bay. After breakfast proceeds to Cango caves, one of the world's great wonders, to experience the fusion of fantasy with natural beauty in the world's finest stalactite caves. Thereafter proceed to Ostrich Farm to avail the ever had opportunity of riding an ostrich or stand on top of ostrich egg. Later on we visit Cheetah Land and Crocodile Farm at Cango wildlife ranch. Dinner and stay at Mossel Bay. After breakfast we proceed towards a thrilling open vehicle safari. African safari will give you a chance to come across the big 5 of the continent which includes Lions, Leopards, Elephants, Wild Buffalo and African Rhino. In the evening we proceed for an Ocean’s trail. It is a 12 Kms trail along the majestic Indian Ocean giving you a chance to experience the beautiful Mother Nature from up close and personal. Later we go for a lighthouse hike. Dinner and stay at Mossel Bay. After breakfast proceed towards Cape Town. This is South Africa’s most beautiful city, blessed with good climate, natural setting, and well-developed infrastructure. Also known as “The Mother city” it is the second most populous city in South Africa after Johannesburg. We arrive and check in at our Hotel. Then proceed for an Orientation City Tour visiting Green Market Square, District 6, Company Gardens, Houses of Parliament, the Castle, signal hill, sea point, water front, Malay Quarters and downtown business district and Clifton on the way to Hout Bay. Dinner and stay at Cape Town. After enjoying your breakfast proceed to drive up to the cable car station, for a cable car ride up Table mountain (if weather permits), South Africa's premiere tourist attraction. Cape Town locals are pretty fond of the mountain that looms over their city… and with good reason! Table Mountain, which is home to the richest, yet smallest floral kingdom on earth, was voted one of the New Seven Wonders of the World in 2011. The exhilarating assent of Table Mountain provides breathtaking views over the city and its beaches. The Panorama Stretches from Table Bay to False Bay and around the mountain to the Hout bay valley. Dinner and stay at Cape Town. After breakfast taking the coastal road drive to Cape Point along the Atlantic Ocean, you will have the opportunity to view magnificent white and sandy beaches (Clifton; Camps Bay and Llandudno) and visit quaint seaside villages (Hout Bay; Noordhoek). The road eventually leads us to the protected wildlife reserve, Visit "Cape Of Good Hope" (South Western Point of the African Continent). On the way back visit Seal Island. Evening we proceed to V&A Waterfront. Dinner and stay at Cape Town. After breakfast we Check-out from the Hotel and we proceed to Canal Walk. Canal Walk is the Third Largest shopping complex in Africa. The shopping Centre hosts over 400 stores, 7000 parking bays, numerous restaurants, 20 cinemas plus a game arcade. Later in Evening proceed to Cape Town Airport to board flight to Johannesburg. Arrive Johannesburg and proceed to check in at our Hotel. Dinner and stay at Johannesburg. After breakfast we proceed towards Johannesburg airport to board flight for your home bound. We trust that you enjoyed your Vacation. Please do give us your valuable feedback. All accommodation in 3/4/5 star hotels on Bed & Breakfast. Breakfast, Lunch & dinner prepared by our own chef or at Indian restaurant. 2 mineral water bottles per person per day. Services of Indian tour manager in South Africa. Main and Internal Airfare on Economy class. Visa, GST 5% and Tips. All expenses of personal nature like Travel Insurance, laundry charges, telephone charges, food and drinks not forming part of the group menus and optional tours. Proof of financial (Last 03 month’s bank statement updated till date of submission, minimum balance Rs 40000 per person, signed and stamped by the bank). NOC for leave from employer clearly mentioning the name, passport number of applicant(s) and duration of visit. Letter must have the physical address, as well as contact details of authorized signature’s name, designation and signature. Bonafide Certificate of school/college for students. 2 engagement photos, fiancée’s parent’s id copies and No Objection Certificate from the parents if not married yet. Original covering letter signed by the applicant stating the name, passport number of applicant(s) and duration of visit. Letter must have the physical address, as well as contact details of authorized signature’s name; designation and signature (should clearly mention who will bear the expenses of the trip). Visa Issuance is sole responsibility of South Africa Consulate; Gem Tours and Travels Pvt Ltd is not responsible for any rejection/refusal or delay in visa. South African consulates are very much particular about passenger’s signature, if passengers signature does not match with passport, they may call for personal appearance at the South African Consulate, Mumbai. Please note that this is not an exhaustive list. If necessary, you may be requested to bring additional documents or to appear for a personal interview as per the details received from the Consular General of South Africa. South Africa is located on the southern tip of Africa and is bordered by the Atlantic Ocean on the west and the Indian Ocean on the south and east. Its neighbouring countries are Namibia, Botswana, Zimbabwe, Mozambique and Swaziland. The Kingdom of Lesotho is situated in the eastern central plain of the country. How big is the area of South Africa? South Africa's total land area is 1 219 912 sq km (471,011 sq mi). The country is five times larger than Great Britain and three times the size of Texas. What is the Country Dialing Code of South Africa? The South Africa country dialing code is 27. Long distance calls can be made in South Africa using the correct country code. Many hotels, lodges and guest houses offer direct dialing facilities. If you are not able to connect, a staff member will surely be available to help. Blue public telephones are coin operated and require a minimum of 80c a local call, more for international calls. It is also worth purchasing a phone card for international calls, available from post offices and news agencies and units range from R20, R50, R100 and R200. Can I use my Cell/Mobile Phone in South Africa? South Africa has 4 world class mobile phone operators, namely Vodacom- the biggest and most popular - MTN, Cell C and Virgin Mobile. Sim cards can be purchased almost anywhere and can be as little as R3. Pay-as-you-go airtime is recommended for tourists. How big is the Population? South Africa is a diverse country filled with a myriad of traditional origins, languages and beliefs, and is home to over 47 million people from all walks of life. The population of South Africa is divided into four ethnic groups, black Africans, whites, coloureds and Asians. The Black Africans make up the majority of the population, which accounts for 76% of the entire countries population. Whites account for 13%, coloureds (mixed White and Black descent) make up for 9% and Asian account for 3%. When is the best time to visit for my holiday to South Africa? South Africa is a year round holiday destination, but it all depends on what kind of experience you are looking for. Different activities are better suited to different seasons. For the best game watching, visit during a South African spring (August - October), Whale watching from mid June to the end of October and for diving and surfing, April to September. The beaches of Cape Town, Port Elizabeth and Durban are great and best visited in the peak of summer (November - February), but are often overcrowded. What currency do I need for my South Africa holiday? The unit of currency is the South African Rand, denoted by the symbol R. One hundred cents makes up one Rand (R1). Coins are available in denominations of 5c, 10c, 20c, 50c, R1, R2 and R5, and notes in denominations of R10, R20, R50, R100 and R200. The Rand is weaker than the Pound and Dollar, making a visit to South Africa highly affordable by international standards. Accommodation, eating out and shopping in South Africa offers great value for money to the international traveller. Your foreign currency can be exchanged at most local banks and Bureaux de Change. There are many banks and ATM's all around South Africa, including airports, petrol stations and malls. Please Note: In South Africa you cannot purchase fuel (petrol) with a credit card. Many locals possess a special 'petrol card' that can only be used at filling stations. You can, however, pay toll with MasterCard or Visa. What are the Bank Opening Hours? Operating hours for banks are 09:00am - 15:30pm on Mondays to Fridays, and 08:30am - 11:00am on Saturdays. Banks are closed on Sundays and public holidays. Credit cards are widely accepted, including American Express, Diners Club, MasterCard and Visa. In South Africa it is customary to tip for good service. Porters usually receive R5 per item; taxis receive 10% of the bill, and waiters and waitresses in restaurants 10-15%. In South African restaurants the service charge is not included in the total bill. At petrol stations, petrol attendants will fill your car and offer to clean your windscreen and check your oil and water, therefore a tip of about R2 will be appreciated. In parking areas, official and unofficial parking attendants may offer to help you park your car and watch it while you are away. Again, whatever small change you may have will be appreciated. What kind of clothes do I need to pack? South Africa is generally a very casual country, with warm, windy days and chilly nights. Denims, t-shits and skirts are fine for during the day. In summer, the day's range from pleasant, to very hot and evenings are balmy. In some areas of South Africa, winter is wet and windy during the day, while in other areas it is dry, hot and humid. Winter nights are, however, always cold. Formal to semi-formal attire is worn to work, upper-class restaurants and clubs. Casual wear is accepted at most restaurants, pubs and bars. The majority of clubs do not accept guests in running shoes. Bathing suits - full or two pieces - are for the beach. School uniform is worn at all schools in South Africa. In general, South Africa is very fashion conscious, especially in the big cities - Cape Town, Johannesburg and Durban. Jeans, shirts, sneakers, sandals, blouses, pants and skirts are all regarded as appropriate everyday wear. What are the Visa and Passport Requirements? Entry is relatively straightforward to the majority of foreigners travelling to South Africa. Travellers from certain parts of the world, including Scandinavia, the USA and most European countries do not need to apply for a visa. Upon arrival in South Africa, travellers from either of these countries are given a free entry permit sticker with details of how long they may stay in the country. This permit is usually valid for a maximum of 90 days. Foreign nationals from other countries offer this service, but for a maximum of 30 days. If you wish to stay longer than 90 days, they will then need to apply for a visa. What plugs and power voltage is used in South Africa? 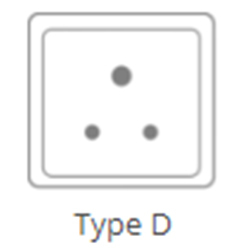 Electricity in South Africa runs on 220/230V, 50Hz AC and the sockets are adapted to take round or flat pinned plugs. Most hotel rooms have sockets for 110V electric razors. 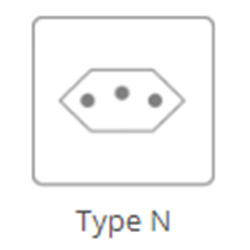 Plugs have 3 round pins, with some plugs having 2 smaller pins. 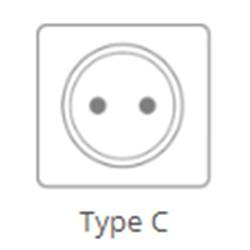 Adaptors can be purchased but may be in short supply. Please keep in mind that for the sake of authenticity, some bush camps may not even have electricity. 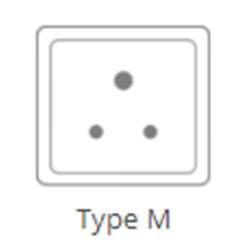 South Africa uses 230V, 50Hz with sockets and plugs Type C, Type D, Type M and Type N.